I don’t make a habit of eating at franchise restaurants, That being said I can’t resist barbecue whether it’s a chain or not. When I heard there was a new barbecue restaurant in Andover, Kansas, I had to give it a try. 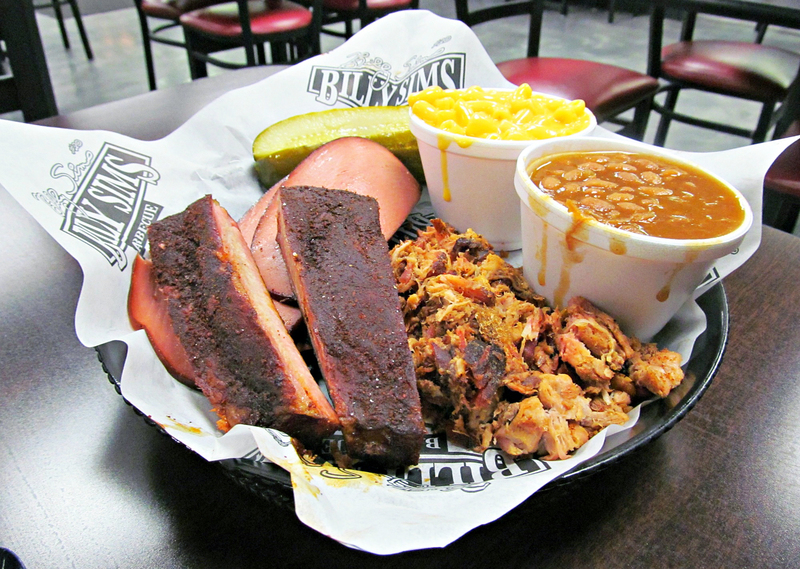 Billy Sims Barbecue is aptly named after former University of Oklahoma football player Billy Sims. As you would expect, the Oklahoma based franchise has a football theme. The Andover location is situated in a once vacant corner gas station that has been remodeled to give the appearance and atmosphere of a typical barbecue restaurant. There were a few good and bad points to this particular location and to the restaurant in general. I’ll just throw it all out there. The Andover location is hard to get into. It sits on a corner where traffic only flows from one direction. After making a U-turn on 54 highway, I was able to turn around and get into the parking lot. I would also have liked to see more homemade sides. Now for the good. There is a large southern pride smoker located just behind the counter. The means to make good barbecue are present and the meat was pretty good. I would go so far to say that it was better than some (but not all) popular Kansas City restaurants. I could see that my ribs had an adequate amount of rub and they were served dry, as they should be, so I can sauce them myself. The sauce was similar to what many Kansas City restaurants offer. As you would expect from an Oklahoma based chain, bologna was on the menu. 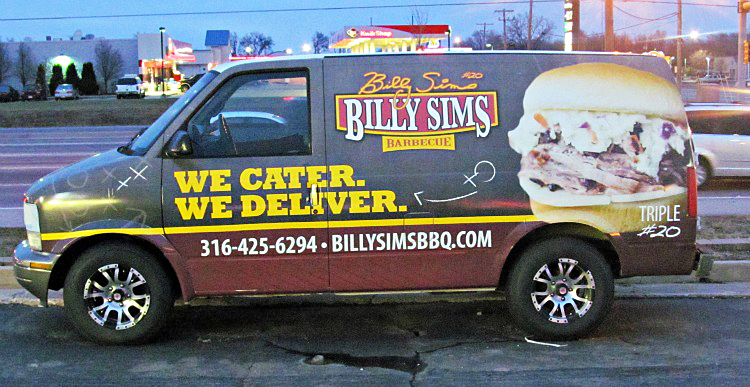 If you liked smoked bologna, it would be worth trying from a Billy Sims franchise. Coincidentally, Billy Sims Barbecue was one of the many topics of discussion with the local farmers at the recently visited, Angelo’s Deli, which you can read about here on In Pursuit of Pork soon. 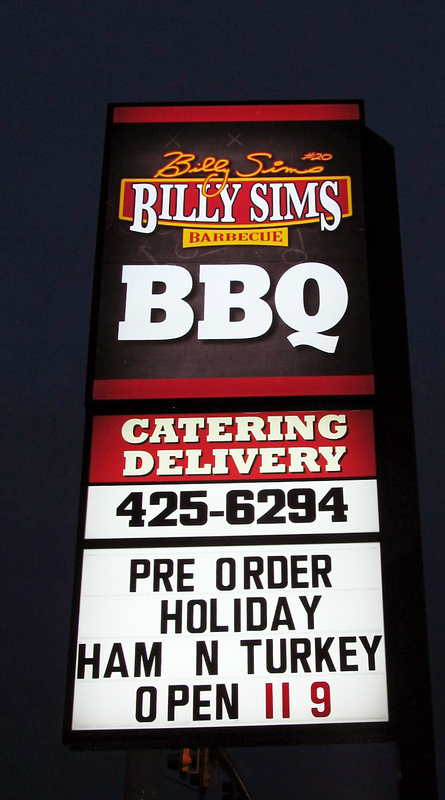 Overall I prefer to support hometown businesses when I can, but as far as the barbecue meat is concerned, Billy Sims Barbecue certainly competes well.